make recommendations for follow up care to reduce disease risk or identify appropriate treatment options. Wondering who sees a genetic counselor or if you should see one? Meeting with a genetic counselor can be worthwhile for anyone with questions or concerns about their risk of inheriting a disease that has affected a family member. The same is true for anyone who is concerned about passing on a disease that they may have. Genetic counselors see patients across all areas of medicine. For some people, the outcome can be reassuring, as you may learn that the disease you were worried about isn’t typically inherited ( passed from one generation to another). Others may be offered testing to help clarify their personal risk or to clarify if their condition has an identifiable genetic cause. Just have some questions but don’t think you need counseling? Don’t worry. Genetic counselors don’t provide therapy. We simply aim to provide information and guidance in a supportive and empathetic way. In some cases, learning about a genetic disease affecting you or your loved one can be difficult. 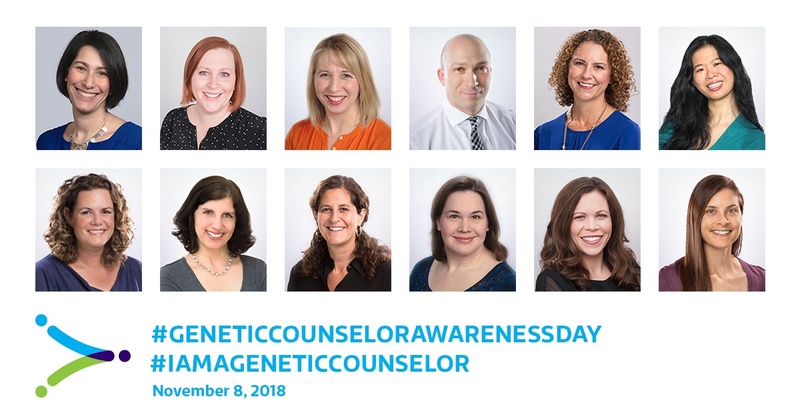 Genetic counselors are here to support you and help you adjust to that information, as well as work with you to share the information with other family members who should also know their risks. While some people don’t need this support, others find that having a knowledgeable guide through the process can be very valuable. No. Genetic counselors are masters-level healthcare providers with specialized training in genetics and counseling. Genetic counselors are board certified by the American Board of Genetic Counseling and are required to hold a license to practice in 22 of 50 states. In some states, genetic counselors can order genetic testing themselves while in other states they work with doctors to identify and order genetic testing for patients. Right here! Genome Medical offers genetic counseling services in all states and Washington, DC. The members of our genetic counseling team have eight to -20 years of experience. Our team includes experts in cancer, cardiology, neurology, pediatrics, proactive health, and reproductive genetics. Click here to learn more about our team. Click the button below to schedule your session with a Genetic Counselor at Genome Medical. The National Society of Genetic Counselors (NSGC) is a great resource!